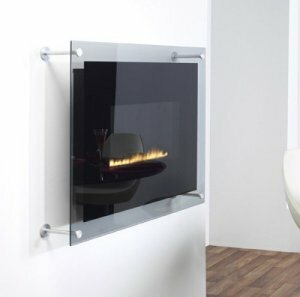 Feels like everyone's mounting their flat panels on their walls these days, so what better way to one-up your neighbor than with this wall-mountable fireplace. The fireplace's creators (West Country Fires) claim it automatically cleans up after itself so you don't have to worry about any harmful gases filling up your apartment. At $2,500 dollars, it's a little too close to the price of a real plasma, no matter how many "burn-in" jokes you can get out of it.